This new edition coincides with a significant anniversary. It was twenty-five years ago that I was in vited. Under the auspices of the Associated Students of the University of California, to deliver a series of talks on meditation on the Berkeley campus. By autumn of 1967, that series of talks had become the first academic course on the theory and practice of meditation to be offered for credit at a major American university. While funding lasted, it drew hundreds of students and hundreds more auditors – including, I like to remember, perhaps a dozen dogs. That was the real beginning of this book. 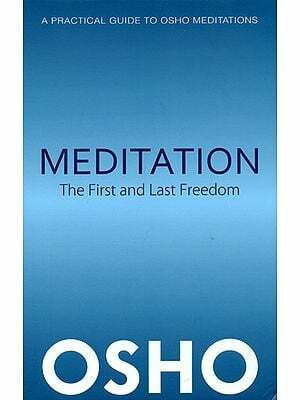 Previously I had simply worked instruction in meditation into my talks on world mysticism. At Berkeley I found myself facing the welcome challenge of a large number of serious, enthusiastic students who wanted to know the subject from A to Z – and not just intellectually, but practically as well. It was for them that I developed the systematic presentation you will find in this book. I taught them the same program I had followed myself; and after several more years of on going weekly classes, while drew thousands of people of all ages and occupations, I distilled my presentation into this book. It is the kind of manual I had wanted when I was learning to meditate, but could never find – direct, simple, practical, and based completely on personal experience. For this second edition I have added some new material at the end, but I found very few lines in the text that I wanted to change. That did not surprise me: every detail had been worked out long before, and the principles are timeless. I have taught this program so long, helped so many people apply it over so many decades, that I know every step of the way. I can say this in humility because in an important sense this is not my method of meditation at all. It is simply my presentation of principles and practices which are themselves age-old. in every culture there have been men and women who would find familiar what I present in the following pages. But different epochs have different needs, and our own times – the tumultuous end of the twentieth century, the crisis of the industrial age – cry out for universality. “though we call it by different names.” The method of meditation presented here can be followed equally well in any religion or in none. I think that is the real secret of its appeal. It belongs to no movement, asks for no change of beliefs: it simply allows you to take the ideals you respond to and gradually, gracefully, make them part of your character and your life. At the same time, although there are no new truths in these pages, I feel deeply gratified to get letters every week telling me that this little book speaks to people’s hearts in a way that nothing else has. It is doubly gratifying to learn of new applications: this method of meditation is being used in health education and twelve-step recovery groups, recommended by therapists, even made the basis of programs for teenagers. These developments are fulfilling one of my most ardent dreams: that over the years I might be able to extend to millions this precious skill that has such power to transform one’s everyday life. The principle of meditation is simple: You are what you think. By meditating on words that embody your highest ideals, you drive them deep into your consciousness. There they take root and begin to create wonderful changes in your life-changes you have wanted to make, but have not known how to bringing about. 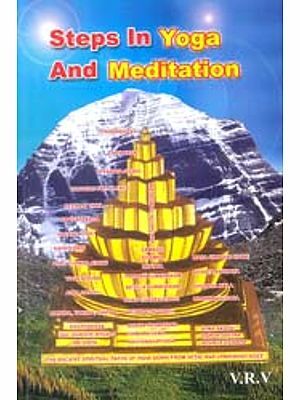 This book is a complete guide to a program of meditation that fits naturally into your life-even complementing an active religious practice. Eknath Easwaran is respected around the world as one of the great spiritual teachers. He was Professor of English Literature at the University of Nagpur, India, and an established writer, when he came to the United States on the Fulbright exchange program in 1959. As Founder and Director of the Blue Mountain Center of Meditation and the Nilgiri Press, he taught the classics of world mysticism and the practice of meditation from 1960 till his death in 1999.